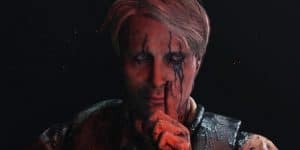 Death Stranding Humor Contrasts its Darker Moments | Nerd Much? It may surprise you, but Death Stranding humor will be there to contrast the darker moments. Expect humor to be similar to the Metal Gear franchise. Later on, Kojima went on to explain why Kojima Productions chose to make Death Stranding their first game. The deciding factor was that it best appeals to the current gaming market. While he doesn’t directly reference what makes it appealing, it is easy to figure out. Death Stranding is an open world game that features online multiplayer. Both of these features are very popular in AAA games right now. We are still a long ways off from the game’s release. As we continue to find out a little more each month, maybe we can catch a glimpse of the Death Stranding humor Kojima is referring to.